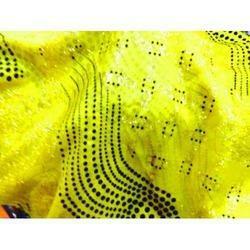 We are a distinguished manufacturer supplier and trader of the best in class Textiles Fabrics. 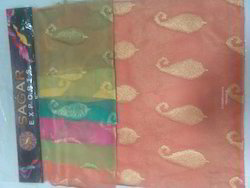 Fabrics provided by us are widely used for making ladies dress material and sarees. Our offered fabrics are highly treasured among our clients due to their beautiful patterns, fine finish, excellent color-combinations, smooth texture and many more. Our professionals only use premium quality threads, yarns and the latest technology while weaving these fabrics. 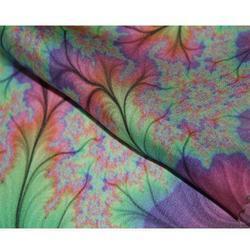 Besides, we provide these fabrics to our clients in variety of colors, prints, patterns and other such specifications to choose from and in bulk quantity. Offering you a complete choice of products which include poly viscos georgette riya fabric, georgette sixty gram fabrics, polyester satin k.k fabric, polyester georgette fabric and premium jacquard fabric. 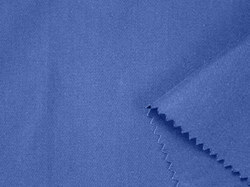 Prominent & Leading Manufacturer from Surat, we offer chiffon blended cadbary fabric, blended chiffon jacquard angel simmer fabric, milano cxn blended fabric and synthetic silk barfi fabric. 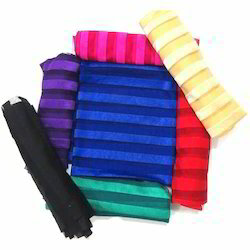 Prominent & Leading Manufacturer from Surat, we offer dobby stripe fabric. 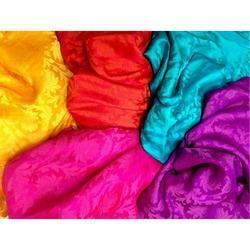 Our product range includes a wide range of net satin patti fabric and dress fabrics. 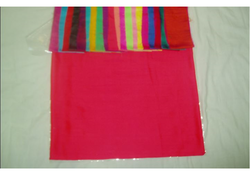 Leading Manufacturer of georgette dupatta fabric, silk dupatta fabric, dupatta fabrics and chiffon dupatta fabric from Surat. We are a leading Manufacturer of jacquard crepe fabric, crepe jacquard fabric, chiffon jacquard naggish fabric and chiffon jacquard sharadha fabric from Surat, India. 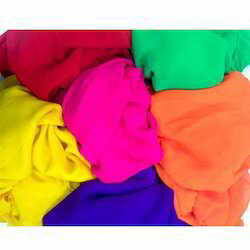 Our product range includes a wide range of blended fabric for textile industry. 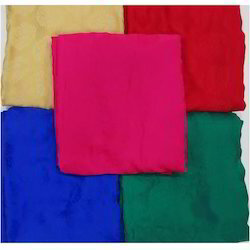 We are a leading Manufacturer of barfi blended fabric from Surat, India.